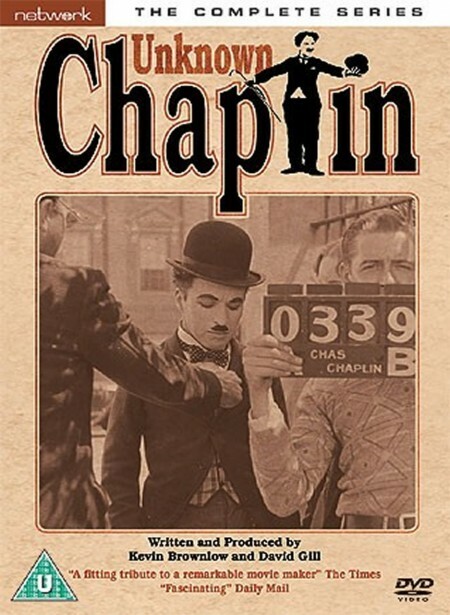 Written and produced by the awarding-winning factual team Kevin Brownlow and David Gill (Hollywood, Buster Keaton - A Hard Act to Follow) and narrated by actor James Mason, Unknown Chaplin is every film enthusiast's dream. For years, film collectors and historians dreamed of stumbling on a cache of unknown Chaplin footage - his rushes, his out-takes, his abandoned films - but Chaplin himself left strict orders to burn all such material. During the making of the Hollywood series, Lady Chaplin gave Brownlow & Gill the unique privilege of access to her private vaults. They discovered thousands of feet of film that had never been seen in public. Unknown Chaplin is the direct result. This three-part programme gives an extraordinary insight into many aspects of Chaplin’s dazzling career: his early working methods, the making of famous films such as City Lights and Modern Times and the movies he made for fun. They include the first interviews with two of Chaplin’s most enigmatic leading ladies and rare footage of Chaplin himself. Winner of the 1983 Emmy for Outstanding Informational Series, the material shown in Unknown Chaplin represents the cinematic coup of the twentieth century and you can now enjoy this series on DVD for the first time.